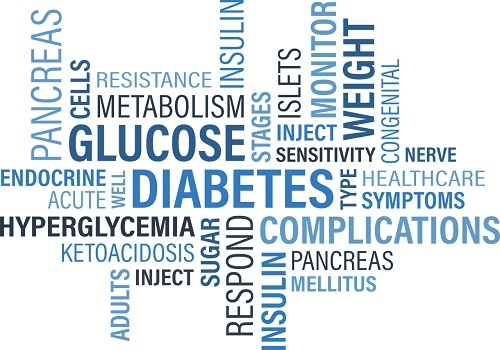 Diabetes is a chronic disease that occurs when the pancreas doesn't produce enough insulin or the body is unable to use the produced insulin effectively. In simple terms, diabetes is a condition in which the glucose or the sugar level of the body is higher than the normal level. Glucose acts as a fuel to the body and blood carries glucose to the cells of the body and use it for energy. Insulin helps blood carry glucose to the cells of the body and when the glucose stays in the blood and doesn’t reach the cells, it leads to the high glucose level in the body and causes diabetes. Diabetes is of two types, type 1 diabetes, in which the body fails to produce enough insulin and type 2 diabetes, in which body fails to produce insulin or it makes insulin but is unable to use it well. Elevated sugar level is an effect of uncontrolled diabetes and over the time it can damage the heart, eyes, kidneys, blood vessels etc..
A condition in which a person experiences an impaired vision or the loss of vision due to diabetes is known as diabetic retinopathy. High sugar from diabetes often leads to the damage to the tiny blood vessels that are present in the retina. Retina plays an important role in the vision as it detects light and signals the brain. Diabetic retinopathy can cause blood vessels in the retina to leak fluid that distorts the vision. High sugar level changes the shape of the lens which can lead to the blurring of vision. Diabetic macular edema is the most common cause of vision loss among people who suffer from diabetic retinotherapy. It is the buildup of fluid in the macula which is the part of the retina. The macula is essential for the sharp vision and is used to recognize things. People with all type of diabetes are at the risk of developing diabetic retinotherapy. Peripheral neuropathy - It is the most common type of diabetic neuropathy that causes pain in the toes, feet, legs, and hands. Autonomic neuropathy - It affects the nerve that serves the heart, nerve in the lungs and eyes, the nerve that controls blood pressure. It also affects the functioning of bowel and bladder, changes in digestion and sexual response. Proximal neuropathy - It is that type of diabetic neuropathy that causes pain in thighs, hips, and buttocks. Focal neuropathy - Any nerve of the body can be affected by this type of diabetic neuropathy and it causes muscle weakness and muscle pain. Kidney acts like a filter to the body, it keeps the needed things and gets rid of the waste things. It consists of the tiny blood vessels that are known as glomeruli. Diabetes is caused by the high sugar level in the body and this high sugar in the blood affects these blood vessels and leads to the development of diabetic kidney disease or diabetic nephropathy. It is a chronic disease that needs immediate treatment or else it can lead to kidney failure. There is no cure for kidney failure, you will need the kidney transplant. Diabetes can also damage the nerve that carries messages from the brain to other parts of the body such as the bladder. These nerves let the brain know when the bladder is full but damaged nerves fails to carry the messages to the brain and pressure from full bladder affects the functioning of kidney and can also damage it. Cardiovascular disease is the major complication of diabetes and also the leading cause of death among people who suffer from diabetes. People with diabetes tend to develop heart diseases at a younger age as compared to non-diabetics. Uncontrolled glucose level causes damage to the blood vessel and leads to the buildup of fatty deposits. It also causes the narrowing of arteries and increases the risk of heart disease and stroke. Also, people with type 2 diabetes often have low HDL (high density lipoprotein) and an increased triglycerides level in the blood. Both of these conditions increase the risk of developing heart disease and stroke. Share it with your family and friends and create awareness among them. Stay Safe, Stay Healthy! !